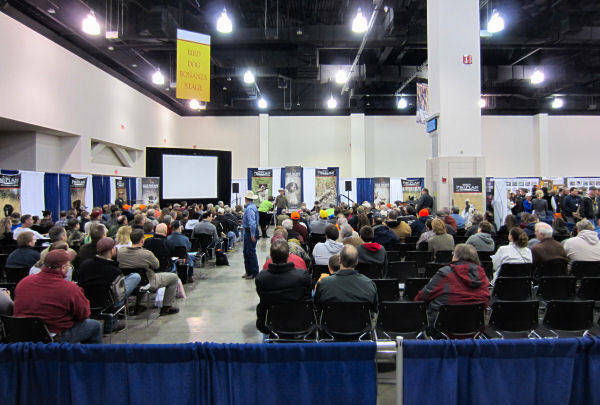 PCA sponsored a booth at Pheasant Fest, 2014. 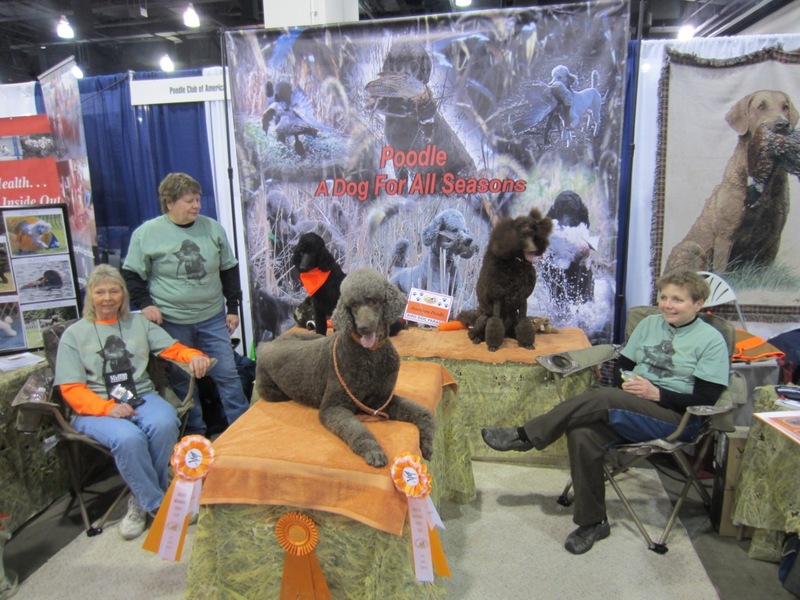 The Greater Milwaukee Poodle club folks set it up and manned it for 3 days. We had a good time, dispelled a lot of myths of poodles being just "fancy dogs", with folks getting to feel them and be schmoozed by them... everyone had a good time!!! We were directly across from the bird dog stage and had excellent exposure for the 21,000 folks that went through the Fest. Most frequent question...'what about the coat'. Our pat answer... they are convertible dogs. They can be what you need them to be, short coat in bramble season, longer coat for cold weather, and no they do not shed like a normal dog. They have a 'controlled shed'. You control when the coat needs to come off and where it will come off with the clippers! Then some comments were heard about the miniatures being able to hunt. The answer to that is that they are perfect baby boomer down-sized upland hunting dogs. They are small enough for condo living, yet still give hunters a nice upland dog to follow in the field, and they don't shed like the small spaniels do ( can you tell that hair was important to the hunters! 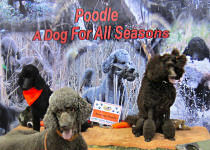 We had a power point presentation going all 3 days and had some folks come back several times to watch the dogs work on the video... more than one hunter said that a poodle will be his next dog!! All in all, to say that poodles were well received was an understatement. We had to be the most photographed booth in the place. It was well worth the effort for us to do it!